I’m loving the bags from bimba & lola – This season’s collection draws its soft, playful and feminine inspiration from the two ladies of the famed Grey Gardens, Edith Ewing Bouvier and her daughter, Edith Bouvier Beale. Mirroring the Beales’ opulent past in their jewellery pieces Bimba and Lola creates a ‘vintage heirloom’ look. 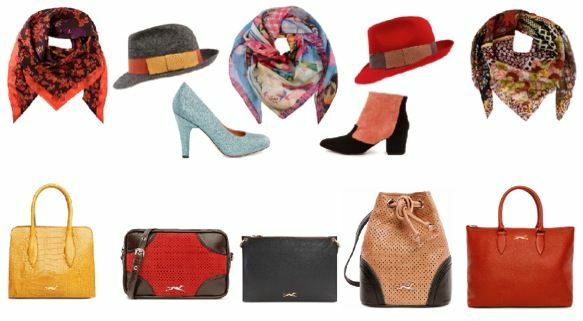 Scarves, handbags and hats are essential to an elegant fifties ensemble. The Autumn-Winter collection pairs delicate patterns with bright, bold colours. Love it!